These options strategies can be great ways to invest or leverage existing positions for investors with a neutral market sentiment. Primarily used by floor traders, a reversal is an arbitrage strategy that allows traders to profit when options are under-priced. 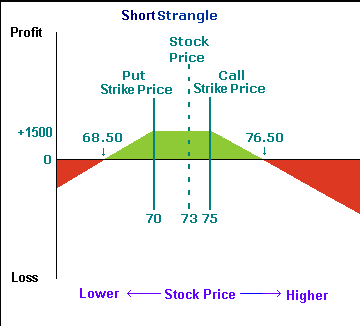 To put on a reversal, a trader would sell stock and use options to buy an equivalent position that offsets the short stock. Primarily used by floor traders, a conversion is an arbitrage strategy that allows traders to profit when options are overpriced. To put on a conversion, a trader would buy stock and use options to sell an equivalent position that offsets the long stock. Bullish investors seeking a low-risk strategy to use in conjunction with a long stock position may want to try a Collar. In the example here, a collar is created by combining covered calls and protective puts. Ideal for investors who prefer limited risk, limited reward strategies. When investors expect stable prices, they can buy the butterfly by selling two options at the middle strike and buying one option at the higher and lower strikes. The options, which must be all calls or all puts, must also have the same expiration and underlying. Ideal for investors who prefer limited risk, limited reward strategies. The condor takes the body of the butterfly – two options at the middle strike 0 and splits between two middle strikes. In this sense, the condor is basically a butterfly stretched over four strike prices instead of three. For aggressive investors who expect short-term volatility yet have no bias up or down (i.e., a neutral bias), the long straddle is an excellent strategy. This position involves buying both a put and a call with the same strike price, expiration, and underlying. For aggressive investors who don’t expect much short-term volatility, the short straddle can be a risky, but profitable strategy. 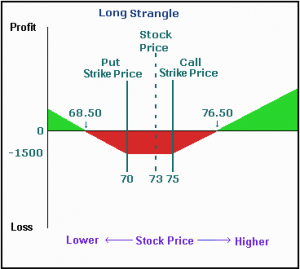 This strategy involves selling a put and a call with the same strike price, expiration, and underlying. For aggressive investors who expect short-term volatility yet have no bias up or down (i.e., a neutral bias), the long strangle is another excellent strategy. This strategy typically involves buying out-of-the-money calls and puts with the same strike price, expiration, and underlying. For aggressive investors who don’t expect much short-term volatility, the short strangle can be a risky, but profitable strategy. This strategy typically involves selling out-of-the-money puts and calls with the same strike price, expiration, and underlying. The profit is limited to the credit received by selling options. The potential loss is unlimited as the market moves up or down. For aggressive investors who don’t expect much short-term volatility, ratio spreads are a limited reward, unlimited risk strategy. Put ratio spreads, which involve buying puts at a higher strike and selling a greater number of puts at a lower strike, are neutral in the sense that they are hurt by market movement. Calendar spreads are also known as time or horizontal spreads because they involve options with different expiration months. Because they are not exceptionally profitable on their own, calendar spreads are often used by traders who maintain large positions. Typically, a long calendar spread involves buying an option with a long-term expiration and selling an option with the same strike price and a short-term expiration.